Canto Classics has recently reprinted Steven Runciman’s The Sicilian Vespers, which expertly guides us through the murky world of 13th century European high politics, its twists and turns, sudden shifts in fortune, alliance, tactics and strategy; and compellingly depicts the brigand-dynasts of the West vying for each other’s thrones and fiefdoms, conspiring, plotting and murdering their way in vain pursuit of power and wealth. A tumultuous period crescendoed in Sicily at Easter Vespers, 1282, when the local population – as the spearhead of a conspiracy organised by the Byzantine emperor Michael Palaiologos and drawing in King Peter of Aragon and disgruntled supporters of the erstwhile king of Sicily Manfred Hohenstaufen – rose up against the loathed French dynast Charles of Anjou, massacred 8,000 French colonists and liberated the island from his regime. Central to the history of the Sicilian Vespers is the fate of the Byzantine Empire and the efforts of its emperor, Michael Palaiologos, to consolidate his hold of Constantinople, which he had, in 1261, taken back for the Greeks after 57 years of Latin rule. The Palaiologan re-conquest was met with shock and dismay in the West, and the ousted Baldwin was sympathetically received in various courts and particularly by the pope and Manfred Hohenstaufen, the king of Sicily, who both vowed to help him recover his throne in Constantinople. However, for Baldwin’s hopes to be realised there would have to be a reconciliation between the papacy and Manfred. Because even if Manfred believed that nothing would be more pleasing to the papacy than if he were to help restore the Latin Empire of Constantinople and bring to heel the schismatic Greeks; for the papacy, the Hohenstaufens remained German usurpers who had illegitimately wrested Sicily and southern Italy from papal control and were now threatening to create an Italo-German empire that would diminish the papacy’s political role on the continent even further. Thus, increasingly tormented by the gains of Manfred in central and northern Italy, successive popes scoured Europe in search of a potentate who would end the Hohenstaufen dynasty in Sicily. After courtship of various English royals had floundered, in 1263 the Sicilian throne was offerred by Pope Urban to Charles of Anjou, the ambitious and underemployed brother of the French king. In June 1265, Pope Clement had Charles anointed king of Sicily, and within a year, Angevin and French forces had invaded Italy and, at the Battle of Benevento, succeeded in killing Manfred, routing his troops and paving the way for Charles to take full possession of his kingdom. For the Greeks, Charles’ accession to the throne of Sicily significantly increased the danger to Constantinople. Not only had Charles inherited Manfred’s desire to see the Latin Empire in Constantinople restored – with Charles able to extract from the ‘exiled’ Baldwin far more generous terms on how to divide Greek spoils in the event of Charles’ armies expediting restoration; but also, with the Hohenstaufen issue settled to the papacy’s satisfaction, there was now nothing to stop the pope from pursuing his enmity towards the Byzantines. Michael’s response to the threat from Charles was twofold. First, to appease the papacy, Michael agreed, at the Council of Lyons in 1274, to the Union of the Churches. By doing so, Michael expected the pope to act as a restraining influence on Charles, which would free the Byzantines to deal with rival Greek kingdoms; hostile Serbs and Bulgarians in the Balkans; and Turks in Anatolia and Asia Minor, where Michael was lobbying the pope to organise a Crusade. However, it was one thing for Michael to put his name to a document accepting subordination of the Greek church to Rome, but another convincing the clergy and ordinary Greeks to accept the West’s terms, meaning that Michael, to stave off the restless Charles, was having to continuously placate increasingly skeptical papal delegates that he was doing all he could to implement the agreement on church union. For the Westerners, it was becoming clear that, despite Michael’s reassurances, the Greeks were ‘unflinchingly’ opposed to church union and that Michael could do little to quell the dissent and riots over the issue. Indeed, either to test Michael’s commitment to the terms of union or, as Runciman says, because the pope was ‘deliberately trying to wreck the union’, the West’s conditions for unity became increasingly onerous and more humiliating to the Greeks. In 1281, Pope Nicholas finally declared that the Greeks were not fulfilling the conditions they’d agreed to, that Michael was a ‘heretic and fosterer of heresy’ and that he was to surrender his empire (by 1 May 1282) to the pope or be overthrown. The way was now open for Charles to oust the Greeks from Constantinople, and he immediately began amassing money, troops and a fleet in preparation for the enterprise. For Michael, with his policy of preserving his empire (by promising church union in exchange for the papacy restraining Charles) now falling apart, it was time to advance the second strand of his strategy, which was to depose Charles before Charles could depose him. Thus, Michael not only fomented and financed rebellion in Sicily, where locals were bristling under Charles’ repressive rule and where a large Greek-speaking population still (according to Runciman) felt affinity with the Greek emperor in Constantionople; but he also funded and organised Manfred and Hohenstaufen stalwarts out for revenge against Charles; and persuaded King Peter of Aragon, who ruled Western Spain (including Catalonia), to pursue his claim to the Sicilian throne, which was based on Peter’s Norman ancestry (the Normans had ruled Sicily from 1072 to 1194) and the fact that his wife, Constance, was Manfred’s daughter. With Byzantine gold and diplomatic craft, then, Charles was pre-empted. Before he had the chance to launch his campaign against Byzantium, which was planned for the spring of 1282, Sicily, after initial violence at Easter Vespers on 30 March outside the Church of the Holy Spirit in Palermo, erupted in a wave of anti-Angevin fervour and bloodletting that drove the French from the island. The rebels initially established Communes on the northern Italian model, but papal disapproval and Angevin counterattack soon had the Sicilians turning to King Peter of Aragon for protection, who accepted the island’s throne in September 1282, and from which, with more gold from Constantinople, he was able to dispose of the remnants of Charles’ forces in Calabria. Michael Palaiologos died in December 1282 feeling, Runciman says, his life’s work complete. He had restored the empire and thwarted a counterattack from the West. ‘Should I dare to claim that I was God’s instrument in bringing freedom to the Sicilians, then I would only be stating the truth’, was Michael’s valedictory boast. However, in the event, Michael’s triumphs were illusory and the respite for the Byzantine empire short-lived. For it soon became apparent that all the Sicilian Vespers had achieved was to replace a French king with ambitions to create a Mediterranean empire with a Spanish equivalent. In 1303, Catalan mercenaries, surplus to requirements at the Aragonese courts in Sicily and Spain, offerred their services to Emperor Andronikos II Palaiologos, to aid his wars against the Turks in Anatolia and Asia Minor. The Catalan Company’s initial successes against the Turks only encouraged its avarice and ambitions and the Catalans soon became another threat to Byzantine integrity and legitimacy. In 1305, the Catalans devastated Thrace and Macedonia, including Mt Athos, while in 1311, the company conquered the duchies of Athens and Neopatria, which remained part of the Aragonese crown until 1388-1390, before the Navarrese Company and then the Ottoman Turks intervened, the latter for a more enduring period. Still, the legacy of the Aragonese interlude in Greece continues, with Spanish kings to this day including ‘Duke of Athens and Neopatria’ among their titles, while, in 2005, the government of Catalonia decided, 700 years after the Aragonese/Catalan invasion and occupation of Greece, to make amends for its ancestors’ pillaging of Mt Athos (on which, all these years, Catalans had been banned from setting foot) by contributing 200,000 euros to restoration works for Vatopedi monastery. 1453: The Fall of Constantinople, by Steven Runciman (ISBN: 9781107604698). Paperback: £10.99. I’m not sure if there’s much consolation in being a tragic hero – better to prevail than be transfigured – but tragic heroes is precisely how Steven Runciman describes the Greeks in his essential account of the siege and fall of Constantinople to the Ottoman Turks in 1453, which has recently been reissued by Canto Classics. Beleaguered, outnumbered 10 to one, waiting in vain for the Western aid they had been promised for agreeing to church union, the Greek defenders (and a small group of Genoan and Venetian confederates) refused the besieging sultan’s offer to surrender Constantinople or convert to Islam, and chose instead to trust in their own bravery, the righteousness of their cause and divine intervention to preserve one of the last vestiges of Greek liberty. warlord, Sultan Mehmet, frustrated by the resistance of the Greeks, ignoring the advice of some of his commanders to lift the siege and avert further humiliation, decided to make one, final overwhelming attack to take the city. The speeches made by the Greek and Turkish leaders on the eve of the decisive assault reveal what the two sides believed they were fighting for. The Byzantine emperor Constantine Palaiologos tells his soldiers that a man should always be prepared to die for his faith or country, his family or sovereign; but now, he says, we are being asked to give up our lives for all four; while Mehmet’s words to his forces are in stark contrast to the heroism and dignity of the Greek emperor. Mehmet urges his troops on by reminding them of the three days of looting they will be allowed should they capture the city, and he inspires his commanders not only with the promise of booty, but also by stressing their sacred duty as Muslims to vanquish this famous Christian capital. And indeed, once Constantinople is taken, the story of the city becomes one of plunder and depredation. 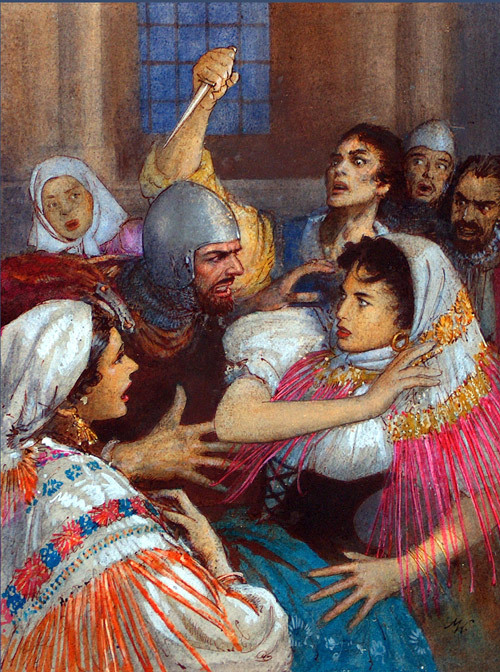 Runciman describes the pillaging of private homes, churches, businesses; the massacres of men, women and children, the ‘rivers of blood running down the streets’; a slaughter that only abated when the Turkish soldiers realised that keeping the Christians alive and selling them as slaves was a better idea, not that this spared the elderly, infirm and infants who could bring no profit, and were consequently killed on the spot. But even if Runciman does not flinch from describing the Turkish capture of Constantinople as being a ‘ghastly story of pillage’ and is not prepared to cover up Mehmet’s ‘savageries’; he is not a crude Orientalist, out to demonise the Turks and Islam and portray Byzantium’s demise in terms of a heroic West versus a barbaric East. For not only would associating Byzantium with the West be problematic, but it is also clear that, for Runciman, the external agents most responsible for the downfall of Byzantium were not the Turks, but the Franks and Latins, with the disaster of 1453 overshadowed by the catastrophe of the Fourth Crusade in 1204, during which Western Crusaders seized and devastated Constantinople and dismembered and irreparably weakened the Greek empire. In the third volume of his history of the Crusades, Runciman famously says that ‘there was never a greater crime against humanity than the Fourth Crusade’, and describes the sacking of Constantinople in 1204 as an act of ‘barbarous brutality’, ‘unparalleled in history’, committed by ‘Frenchmen and Flemings… filled with a lust for destruction’. Thus, the powerful, wealthy and magnificent city seized and sacked by Crusaders in 1204 (and which the West held until 1261, before Greek restoration), was not the city the Turks captured in 1453, which Runciman describes as dying and melancholy, poverty-stricken and sparsely populated. 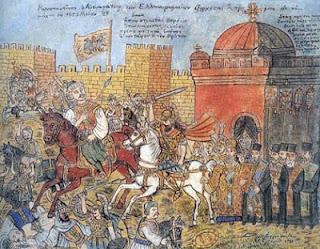 For Runciman, the Turkish seizure of Constantinople in 1453 did not destroy Byzantium, it merely provided the coup de grâce to a doomed city. Indeed, memories of 1204 and experience of repressive Western rule in places like Crete, Cyprus and the Peloponnese, provided evidence to many Greeks that the pursuit of church union with Rome in exchange for military support to fight the Turks was both a religious abomination and politically misguided. Not only was there no difference in terms of brutality between Western and Muslim rule – indeed, many Greeks believed the Franks and Latins to be less civilised than the Turks and Muslims; and not only did the policy of church union overestimate the ability and willingness of the West to aid Byzantium against an assertive and powerful Turkish empire; but there was also a case for maintaining the integrity of the Greek church and Greek culture, avoiding the bitter division bound to follow any attempt to enforce religious subordination to Rome, and accepting a period of Turkish subjugation as the most effective way of preserving the Greek nation and offering the best chance for its long-term revival. Nevertheless, Runciman’s reluctance to demonise the Turks does, in places, lead him to express an undeservedly generous assessment of their ascent to power and rule, which is matched by an excessive willingness to pin the blame for Byzantium’s tragedy on the West. However, the ‘details’ that Runciman said do not exist to record the Islamisation of Anatolia and Asia Minor are, in fact, painstakingly chronicled by Spyros Vryonis in his The Decline of Medieval Hellenism in Asia Minor and the Process of Islamization from the Eleventh through the Fifteenth Century, in which the author describes a period of savage conquest, a succession of raids and annexations characterised by pillaging, massacre, enslavement and forced conversion of the Byzantine population. Thus the four centuries it took the Turks, from 1071 to 1453, to subjugate Anatolia, Asia Minor and Thrace, did not involve, as Runciman suggests, a ‘smooth’ evolution but was accomplished in a way that amounted to a holocaust for the vanquished. As for Mehmet’s alleged vision of a tolerant, harmonious empire, this never materialised and could never materialise, given the nature of the Ottoman state, in which religious discrimination and persecution were ingrained. Order was maintained through terror and repression and peace dependent on the whims of the sultan or his pashas or beys who, at any moment, could decide that their Christian subjects, their culture, shrines and very lives, were an affront to Muslim ascendancy and should be suppressed if not extinguished. Moreover, just as there were Greeks who believed, prior to the fall of Constantinople, ‘better the sultan’s turban than the cardinal’s hat’*, many others, from the political and intellectual elite, admired the West and believed church union would bring about a rich fusion of Greek and particularly Italian humanist culture. Indeed, something of this fusion occurred in Crete and the Ionian islands, on the periphery of the Greek world, where Turkish rule was delayed or never penetrated, with Venetian sway eventually contributing to a cultural breathing space and even flowering for Greeks that was never possible under the Turks. As Runciman himself acknowledges, the Ottomans’ narrow-mindedness, informed by fear and loathing of their Christian subjects, ensured that Greek learning, art and letters were discouraged and ceased to exist for the duration of the Turkish empire. * Ironically, this statement is attributed to Lucas Notaras, who, as noted above, was executed for refusing to give up his son to become the sultan’s sexual slave. Postscript on Insignificance is a useful addition to the Cornelius Castoriadis oeuvre available in English, consisting of a series of interviews in which the Greek philosopher introduces us to some of his main intellectual preoccupations – in ontology, political theory, art, psychoanalysis, mathematics, the philosophy of science, the state of modern society, and so on. rejection of any kind of determinism (religious, historical, scientific) and places politics – collective activity aimed at establishing the rules of society – at the heart of human endeavour and, indeed, of human existence, which is always social. ‘Being is creation’ provides flesh to the bones of Protagoras’ ‘man is the measure of all things’ and Aristotle’s ‘man is a political animal’, as well as his, ‘he who is unable to live in society, or who has no need because he is sufficient for himself, must be either a beast or a god’. Even if we accept that societies always create themselves, this does not necessarily tell us anything about the form this creation will take; if, indeed, a society will overcome the pretense that extrinsic forces (gods, tradition, physis, etc) are responsible for shaping its laws and precepts. In fact, most human societies are what Castoriadis calls ‘heteronomous’, enthral and reliant on extrasocial explanations and sources for their laws and rules. Very few societies in human history have made the breakthrough that allows them to recognise that their laws and rules can be made and re-made by themselves. The first societies that consciously took over from the gods, physis and so on, the role of instituting laws and social precepts, were in classical Greece, and it is no coincidence that this is where philosophy and politics emerge. Politics and philosophy go hand in hand. If philosophy is about questioning the existing representation of the world; then politics is about questioning and altering the existing representation of society. When philosophy challenges religious and other heteronomous explanations of the cosmos, when it removes the artificial limits on what is thinkable, it reveals a vacuum that, in terms of the ordering of society, politics steps in to try and fill. If religion and the supernatural cannot explain the cosmos, then they cannot explain society or purport to be the foundation for its laws either. In this scenario, laws are not immutable, the impeccable will of the gods or of a God, to apply for all time and in all circumstances, never to be challenged or changed; but the responsibility of humans, who now must judge and choose for themselves the laws by which to govern their relations in society. The more a society understands that it and it alone can affect its laws and rules, deciding what is a good and bad law; the more a society interrogates itself and overcomes heteronomous restrictions on what it can and cannot say and do about itself; the more implicated citizens are in shaping their society’s laws; the more citizens feel ownership of their society’s laws; then the more Castoriadis is inclined to identify such a society as ‘autonomous’. 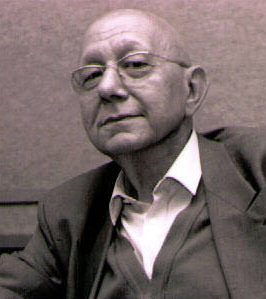 The creation of autonomous society is the project that Castoriadis, the radical social and political theorist, seeks to explain and is committed to. However, this project of autonomy begun 2,500 years ago in Greece (revived in the ‘first Renaissance’ in 11th century Europe and, again, in 17th century England, followed by the American and French revolutions, the Enlightenment, the workers’ movement and by Modernism and the avant-garde, which prevailed in Europe from the 1870s to the 1950s) is now in crisis. And this is not because contemporary society is threatened by a return to a belief in gods and tradition, or the veneration of nature (although there has been a growth in religious fundamentalism, regressive forms of nationalism and anti-modern, back-to-nature ideologies – as in aspects of the Green movement); but, more profoundly, the project of autonomy is under threat from trends that want to transform citizens into consumers; that induce apathy and conformism; and reduce politics from a democratic endeavour of the many to a preserve and activity of the few, a liberal elite, comprised of professional politicians and pseudo political experts. For Castoriadis, the term that captures this nihilistic spirit in contemporary politics, art and philosophy is ‘insignificance’; and, indeed, even if Castoriadis was describing the world as he saw it in the 1980s and 1990s (Castoriadis died in 1997), the lacklustre, ineffectual response to the post-2008 crisis from radical politics – we’re thinking of the feeble occupy and indignant movements – shows there is nothing to suggest that such a pessimistic characterisation would not be applicable to today’s politics and society. They spilled the lead in water under the stars, and may the fires burn. and may the fires burn. will find him, after you are dead. stare at us when the flame’s reflection caresses them). and you studied the ashes under the stars. *Herostratus, in 346 BC, burned down the famous Temple of Artemis at Ephesus in order to make his name immortal. Below is the acceptance speech Giorgos Seferis gave in Stockholm on 10 December 1963 on receiving the Nobel Prize for poetry. 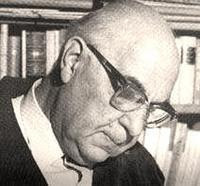 As well as a powerful statement of Seferis’ belief in the importance of poetry, it is also a compelling definition of Hellenism as an insistence on the human, justice and self-limitation. 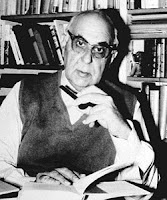 The ‘master’ Seferis refers to in the third paragraph, who wrote 'We are lost because we have been unjust', is the hero of the Greek war of independence, General Makriyiannis. I feel at this moment that I am a living contradiction. The Swedish Academy has decided that my efforts in a language famous through the centuries but not widespread in its present form are worthy of this high distinction. It is paying homage to my language – and in return I express my gratitude in a foreign language. I hope you will accept the excuses I am making to myself. I belong to a small country. A rocky promontory in the Mediterranean, it has nothing to distinguish it but the efforts of its people, the sea, and the light of the sun. It is a small country, but its tradition is immense and has been handed down through the centuries without interruption. The Greek language has never ceased to be spoken. It has undergone the changes that all living things experience, but there has never been a gap. This tradition is characterized by love of the human; justice is its norm. In the tightly organized classical tragedies the Erinyes punish the man who exceeds his measure. And this norm of justice holds even in the realm of nature. 'Helios will not overstep his measure'; says Heraclitus, 'otherwise the Erinyes, the ministers of Justice, will find him out'. A modern scientist might profit by pondering this aphorism of the Ionian philosopher. I am moved by the realization that the sense of justice penetrated the Greek mind to such an extent that it became a law of the physical world. One of my masters exclaimed at the beginning of the last century: 'We are lost because we have been unjust.' He was an unlettered man, who did not learn to write until the age of thirty-five. But in the Greece of our day the oral tradition goes back as far as the written tradition, and so does poetry. I find it significant that Sweden wishes to honour not only this poetry, but poetry in general, even when it originates in a small people. For I think that poetry is necessary to this modern world in which we are afflicted by fear and disquiet. Poetry has its roots in human breath – and what would we be if our breath were diminished? Poetry is an act of confidence – and who knows whether our unease is not due to a lack of confidence? Last year, around this table, it was said that there is an enormous difference between the discoveries of modern science and those of literature, but little difference between modern and Greek dramas. Indeed, the behaviour of human beings does not seem to have changed. And I should add that today we need to listen to that human voice which we call poetry, that voice which is constantly in danger of being extinguished through lack of love, but is always reborn. Threatened, it has always found a refuge; denied, it has always instinctively taken root again in unexpected places. It recognizes no small nor large parts of the world; its place is in the hearts of men the world over. It has the charm of escaping from the vicious circle of custom. I owe gratitude to the Swedish Academy for being aware of these facts; for being aware that languages which are said to have restricted circulation should not become barriers which might stifle the beating of the human heart; and for being a true Areopagus, able 'to judge with solemn truth life's ill-appointed lot', to quote Shelley, who, it is said, inspired Alfred Nobel, whose grandeur of heart redeems inevitable violence. In our gradually shrinking world, everyone is in need of all the others. We must look for man wherever we can find him. When on his way to Thebes Oedipus encountered the Sphinx, his answer to its riddle was: 'Man'. That simple word destroyed the monster. We have many monsters to destroy. Let us think of the answer of Oedipus.